Opus House is a comfortable adobe home near the old Spanish village of Truchas in the Sangre de Cristo Mountains of Northern New Mexico. Sitting at 8300 feet elevation, 45 minutes from Santa Fe on the High Road to Taos, Opus House is offered to selected individuals of all callings and backgrounds as a place of solitude and creative work. It is seen as a place to be for a week or so to concentrate on a chosen creative process. 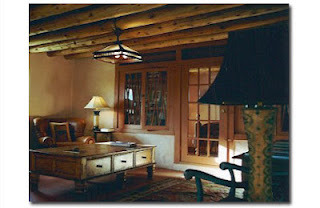 A number of Fisher King Press authors have spent time at Opus House and Truchas Peaks Place. Patricia Damery and Naomi Ruth Lowinsky wrote the preface, the section introductions, and flowed together the essays that comprised Marked By Fire: Stories of the Jungian Way. Mel Mathews has completed a number of Fisher King Press titles while hiding away at this sacred place. 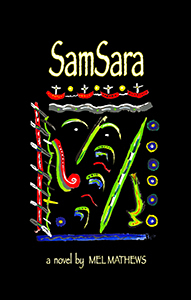 Filled with insight and wisdom, Free the Children is most unique and original in its own sense, yet equal in rank to the works of Carlos Castaneda and Don Miguel Ruiz. This beautifully written story is about a love shared between a father and son. Yet, it is not about a father ‘fathering’ a son. Quite the opposite – Boye, with an innocent wisdom that has not been distorted by the conventional impositions of social institutions, teaches, or better yet, ‘boys’ a Father. Bruce Scott reclaims and liberates his own lost innocent self as he and Boye travel the country, meeting up with bizarre people in the most uncanny places, and sharing profound experiences that bring about a shift in awareness and alters their way of seeing and being in the world. "Malcolm Clay is the story of everyman." "Malcolm Clay is the story of everyman. He is every man who ventures into life and love. The every man who experiences the vicissitudes of the ecstasy yet fear and pain that life and love may bring. 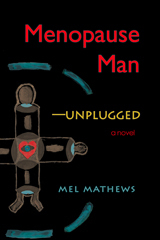 Author, Mel Mathews, brings to light the engaging energies of his novels' protagonist, Malcolm Clay, both in his external happenings and also in the soul making substance of his inner on-going life. He allows us to hear the inner dialogue, to touch the feelings, to view life as if an X-ray vision of a man's soul. 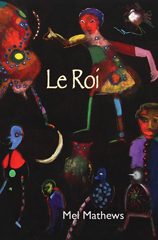 In an appealing manner, a crisp and crusty narrative, we, as reader, also envision life and soul."